From January 2017 Fr Merv Duffy will be acting principal of New Zealand’s Catholic theological college. The appointment, made by Good Shepherd College’s Trust Board is for a brief period while a review of the structure of the College is undertaken. The appointment also coincides with Fr Duffy concluding three terms as a provincial councillor of the Society of Mary in New Zealand. Currently a lecturer in systematic theology and dean of studies at Good Shepherd College, Fr Duffy holds a license and doctorate in systematic theology from the Pontifical Gregorian University. 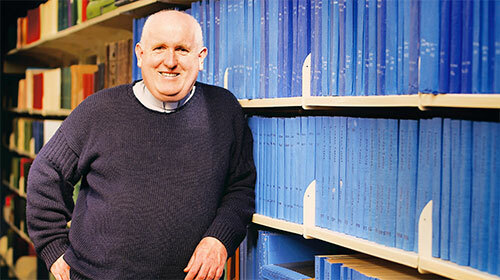 From Christchurch, Merv Duffy joined the Society of Mary and was ordained in 1985. 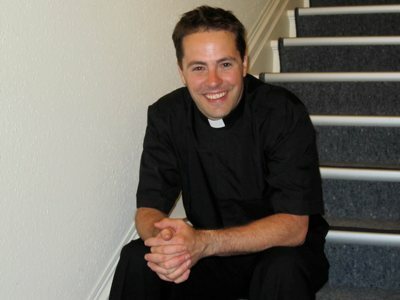 While studying for priesthood he also completed a degree in Mathematics at Victoria University of Wellington. After ordination he taught Mathematics, Computing and Religious Education at secondary level, and was one of the group of teachers involved in the writing of textbooks for the ‘Understanding Faith’ religious education syllabus. A member of the expert panels for the writing of Unit Standards and Assessment materials for Religious Education, for three years Duffy was employed by the Qualifications Authority as the National Moderator for Religious Education. Good Shepherd College – Te Hepara Pai was established by the New Zealand Catholic Bishops Conference and by the New Zealand Province of the Society of Mary in 2001. The College exists to provide theological education in the Roman Catholic tradition and has a special focus on the formation of candidates for ordained priesthood in the Catholic Church. 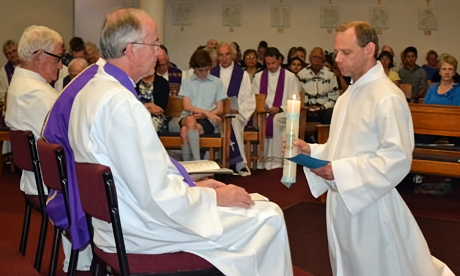 Seminarian, Brendan Jenke departs for Rome on Sunday. 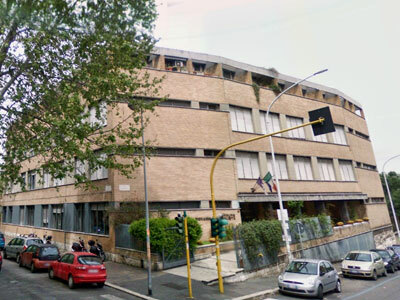 While in Rome he will live at the Marist Fathers’ International Theologate and study theology at the Gregorian University. The course of study is four years. Before beginning his theological studies in September, Brendan will attend and Italian language school in Turin. During the week he was invited to his old school, Liston College to speak to the students about his vocation and while at the school assembly was presented with an anointing of the sick kit with a pyx inside. They had belonged to Russell Piaggi, the sacristan and lay presider at Thames. Russell studied at the Marist Seminary in the 1930’s and died three years ago. He asked the kit and pyx be given to a student from Liston College who entered the Marist seminary. 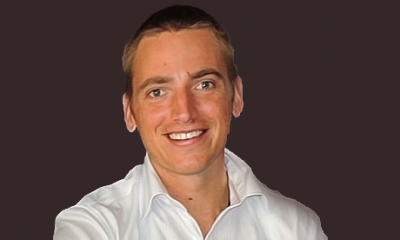 While studying in Auckland, Brendan has also been part of the vocations discernment team, helping those who think they may have a Marist vocation to work out where God might be calling them. Those interested in following up the idea of whether they might have a Marist vocation are invited to contact Fr Peter McAfee at the Marist Seminary. Te next vocations discernment weekend takes place on 1-3 August. On 25 March, three seminarians of the District of the Philippines renewed their vows in a simple ceremony in Davao City jail chapel. Nino Memorial, John Gouwang, and Roque Rebito renewed their vows in the presence of inmates and Marist friends at a Mass led by Philippines District Superior, Fr Larry Sabud. “We decided to have their renewal in the jail since the inmates have been part of their ￼training for Marist life priesthood,” Marist Formation Director, Fr Chris Ganzon said. Ganzon explained that as part of their pastoral ministry programme the three seminarians visit the prison inmates each Sunday. “It was great to do their renewal of vows in the jail,” he said.